B9Creator version 1.2 uses a moveable HD projector, giving flexibility not available in other DLP printers. Z-height for all is 200mm. 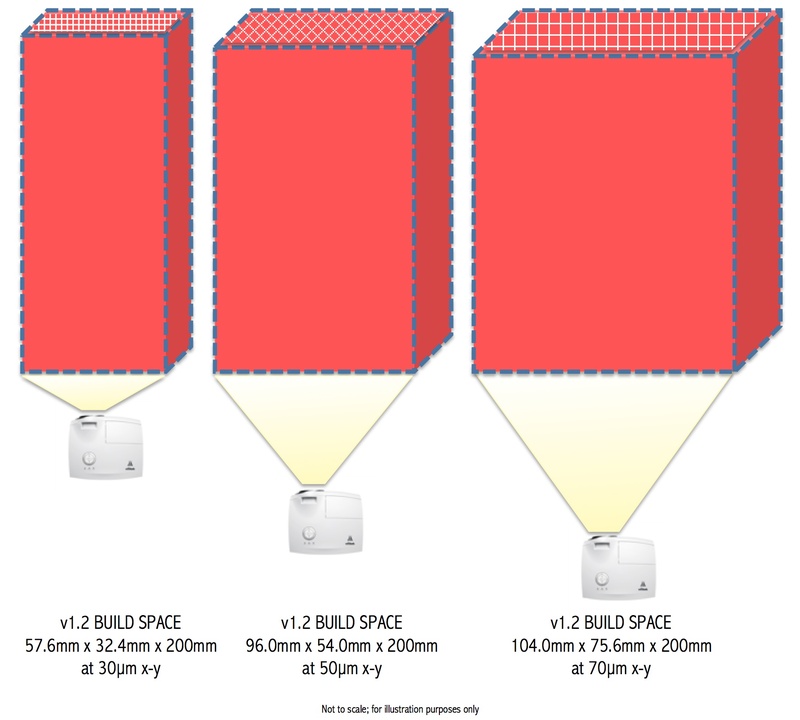 So if your work only requires 70µm xy resolution, you can print more pieces per print cycle. ZLab3d B9Creator 2-page info sheet (pdf).